Many people are provided long-term disability insurance coverage under their employer group insurance plan. Such plans provide needed income replacement benefits in the event that an injury or illness prevents someone from working for an extended time. 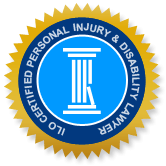 To receive long-term disability benefits for the first two years of becoming unable to work, a person must be able to substantiate, through medical reports provided by their physician, that they are unable to perform the necessary tasks of their normal job. After two years, eligibility requires that a person is unable to perform the required tasks for any job for which they are reasonably qualified, or could be qualified for, given their training, education or experience. Employer group plans may also provide short-term disability coverage, which pays an employee with income replacement benefits, generally for up to 120 days after they became disabled. After the short-term disability benefits have expired, if a person continues to meet the eligibility requirements under their group plan, they will begin receiving LTD benefits. The amount of LTD benefits vary with different plans, but on average, they pay 60% of the person’s pre-disability income, although some plans may pay 50%, 70 % or another amount. There is also generally a maximum in LTD benefits that a person may receive, for example, $5000 monthly, which means that high-income employees would receive a lower percentage of their normal income. Unfortunately, sometimes the insurance provider for a LTD plan disputes an applicant’s claim for benefits or terminates payment of benefits. The most common reason is that the applicant has failed to provide medical documentation that shows that they are unable to perform the necessary aspects of their job or of an occupation for which they are suited. One such example of a disability dispute involved a civil action that arose after a woman was denied LTD benefits under her employer benefits plan which was indemnified by Manufacturer’s Life Insurance Company (Manulife). The applicant argued that the only issue in dispute is a disagreement over the interpretation of the LTD insurance policy. Manulife asserted that there are facts in issue pertaining to the applicant’s level of function, diagnosis, need for further treatment, or whether she can gradually return to work. Manulife also argued that the applicant did not mitigate her injury by taking reasonable steps to rehabilitate herself or seek new employment. The applicant was a 54-year-old woman who applied for LTD benefits for ‘permanent accommodation of reduced hours’ in March 2007, based on a medical report from her doctor stating that she was unable to work full-time. Her condition worsened and her doctor diagnosed her condition as fibromyalgia and referred her to several specialists, in May 2007. In June 2007, Manulife denied the applicant’s claim for permanent accommodation of reduced hours and required that she gradually increase her hours until returning to full-time employment. The applicant appealed Manulife’s decision and her physician provided medical opinion stating that she is significantly limited by her health issues and unable to do full-time work. She stopped working completely, in June 2007, and applied for LTD benefits but Manulife denied her claim. She provided evidence from several medical specialists and requested that her application be reconsidered and also attended an independent medical assessment requested by Manulife. Manulife’s doctor diagnosed the applicant with moderate to severe fibromyalgia and gave the opinion that she could return to work, at least part-time, within 6-12 months. Based on this report, she received LTD benefits on a modified basis, but her benefits were terminated on December 31, 2008. All told, she was paid LTD benefits from May 2007 to December 2008. Manulife explained that the termination of benefits was based on an assessment of medical evidence that no longer supports that she is disabled as defined in the group contract, and also stated that should be able to perform another occupation. The applicant appealed Manulife’s decision and attended a Functional Abilities Evaluation (FAE) in November 2008. She also provided further medical documentation from several health care professionals, but Manulife denied her request for LTD benefits as well as funding for an active rehabilitation program specialist. Instead, Manulife suggested a graduated return-to-work program. However, the applicant’s physician wrote that she had done her best to attempt rehabilitation but was not successful, and it is unlikely that she will be able to return to full-time work unless there is a dramatic change in her condition. After working with a rehabilitation worker for 13 months, including participation in a work hardening program, the worker concluded that, at this time, the applicant does not have the physical abilities to resume even a graduated work schedule. Nevertheless, Manulife again denied the applicant’s request for benefits in early 2009, and noted that the FAE report states that she need only improve her endurance and tolerance in order to sustain activities for longer periods. The applicant commenced a civil action against Manulife for payment of denied LTD benefits, which was heard in May 2009. The key issue in question was the means by which the applicant may become re-habilitated and return to work. Manulife argued that she can immediately participate in a graduated return to work; however, the applicant stated that a graduated return to work is only possible after she has increased her endurance and strength. The judge in this case noted that there is no conflicting medical evidence on the applicant’s diagnosis, as Manulife’s own medical expert accepted that she suffers from fibromyalgia. The judge found that in its explanation for denial of LTD benefits, Manulife distorted the medical evidence and meaning of the Functional Capacities Evaluation, and further, Manulife’s conclusion is entirely unsupported by medical evidence. The judge noted that a necessary prerequisite to a successful gradual return to work is a work hardening program, and the group policy specified that an employee continues to be entitled to disability benefits while they participate in a Vocational Plan. The judge concluded that a reasonable interpretation of the policy is that the work hardening programme falls under coverage for rehabilitation and vocational retraining. The judge also concluded that the applicant is totally disabled, as defined under Manulife’s policy. Therefore, Manulife has a contractual duty to pay LTD payments while the applicant is involved in a rehabilitation or vocational program, after which a re-evaluation must be made. The judge ordered Manulife to pay LTD benefits and fund a work-hardening program, as well as pay interest on any LTD payments in arrears.